Any intelligent Liberals out there? Perhaps I should be posting on craigslist or tweeting this, but would someone kindly point me in the direction of an intelligent Liberal blog? It’s as if pursuing the centre of the political spectrum necessarily requires limited or middling intelligence. The problem with middling intelligence (shared by the likes of Kinsella and his Sancho Panzas (Cherniak, Bowie, et al) is that it’s just enough intelligence to embolden them, but sadly not quite enough to allow them to know better. I mean, the right wing of the blogosphere may have plenty of drivel, but one can also find there the very intelligent and clever offerings of Edward Michael George or Ghost of a Flea, for instance. I may often disagree vehemently with them, but I can’t but respect their writing. Sadly, I have yet to encounter a Liberal blogger whose intelligence I feel compelled to respect. Anyway, I may soon have to start a Kinsella counterspin/ translation blog. For the last number of months, the spin has been so wanton and irresponsible that it begs to be countered. For example, when the Ontario Liberals retained one of their safest seats anywhere in yesterday’s by-election (since being established in 1999, the Liberals have always taken the seat with over 50% of the vote), Kinsella interprets that as being up “against formidable odds”. For now, I’m just glad Kinsella has stopped referring to Ignatieff as “Michael” and followed that up by removing that creepy photo of Ignatieff (you remember, that one in which Ignatieff looks about 35 years old, has windswept hair, is wearing what I believe is a football jersey (gag!) and looks like a college student in search of a keg party). I’m guessing the purpose was to make Ignatieff more down to earth and accessible (remember Dion’s problem shedding the image of the “professorial” aloof politician?). Whatever it was, the choice to use that photo appeared a little freaky. Check out Kinsella’s posts around January or February of this year and you’ll see what I mean. He continually gushes over “Michael” like a teenage girl. But hey, if that’s the face that launches you into dreamland, so be it. I’m not here to judge. Update: I’ve added hyperlink above to said photo for the benefit of those who asked. Posted on September 18, 2009, in Liberals, Warren Kinsella. Bookmark the permalink. 16 Comments. Hi. You know who started a Kinsella counterspin blog, as you want to? Stockwell Day. He did it during the 2000 campaign. It was called "Spinning Warren's Web." How did that work out for him? 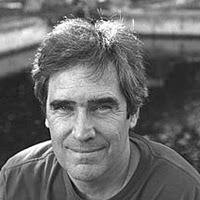 "that ancient photo of Ignatieff (you remember, that one with windswept hair looking like a college student in search of a keg party). "PricelessIggy just can't get any respect, but he tried, and he tried….Anyway, the lib-bloggers seem to want to emulate Harper and tribe in adopting the bullying and ignorant approach.Can understand that they are pissed. Poor Iggy went pop in the MSM today:Who WonIggy Flails and FizzlesFor Liberals, new leader, same losing scenario [ouch, the Liberalstar]It's amusing seeing "Michael" and the libs imitate "Steven" and the cons. Good thoughtful response by Polly and I agree. I too like the CCPA widget. The problem with many political blogs is that they are maintained by hyper-partisans who consider their job to be promoting the party line instead of promoting political discussion.There are a few non-partisan blogs out there but, to no ones surprise – especially mine, we are generally accused by all sides of "being against" party A-B-C as opposed to "for discussion and/or debate" because the hyper-partisan cannot fathom the political blogger who does not toe a party line. There are plenty of good, thoughtful Liberal bloggers out there. There are even some real progressives among them. Unfortunately, craziness in Ottawa makes partisans everywhere get a little crazier. I know that I've been guilty on more than one occasion of getting a little too caught up in the minutiae of the Hill. Sometimes we partisans just need to collectively take a nice deep breath and remember how little most Canadians care about the games we play between elections. har, har, har. i have to question your intelligence when you say that Jason Cherniak, aka Canada's stupidest blogger, was actually intelligent.the smartest thing that intellectually stunted, pea brained midget idiot ever did was to quit blogging. Ghost of a Flea we can agree upon, SDA is a horse of a different colour – there's nothing there but cheap hyper-partisan potshots and an admonishment not to engage in lengthy debates. I'd say Impolitical is right up there. A must-read for me, and I generally have no time for Liberals at all. Impolitical, hands down.That blogger researches and provides citations, and has along memory.Still partisan, but makes good argument and is one of my must reads.I am too, of course, incredible, but I'm not Liberal. Partisanship happens on all the blogs that have party logos.Sniping contests abound!Blogs are rather a hyper concentrated microcosm of the political climate in the country. And in the end the Cons win. :)Before they all got together under the big C, the left had a distinct advantage over the right….. The Conservatives were wandering the woods after the Mulroney debacle under distinctly different banners.I don't see this situation improving. Ever.Not without the will to do so. And since the corp media seems to only listen to the Kinsella's and the Cherniak's…..OY. And the Small dead brain cell types. The Overton window has been shattered. Am already sick of the pre-election hyper-partisanship among all party bloggers but, yes, particularly among bloggers touting the Liberal line (and I agree that impolitical is among the better Liberal bloggers). It has become so bad that this non-partisan blogger and dedicated tweeter no longer reads certain blogs and has taken the audacious step recently of unfollowing certain Liberal tweeters. Have been tempted more than once to do the same about one or two NDP diehard loyalists too. The mindless cheerleading is simply too much for me. I hunger for good discussion in order to learn about the different political policies, philosophies and platforms so I can, in turn, write from an informed perspective and make the best informed decisions. Therefore, my frustration gets intense when so much of what I find is empty of substance. Too bad the cheerleaders don't comprehend that their unquestioned idolatry can cause readers to wonder what they're trying to hide about the parties they support. I always enjoy Calgary Grit. Partisan to be sure, but he's more than willing to point out the flaws in his own team as well as his opponents', and he has a sense of humour as well.